Excellent job as always! 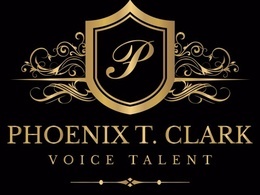 Phoenix is a reliable and talented voiceover artist. Extremely professional, kind, fast responses and phenomenal voice acting. Within 24 hours she had posted me back, conversed about the project and got me the voice files I needed, with additional voice work within that short time period. Simply overall it was an amazing time working with her, especially for reaching out to her with such a short deadline. Thank-you so very kindly. It has been a pleasure working as your female voice talent for your video game production. I wish you the best of success with it and I look forward to working with you on another great project soon. Phoenix was great to work with. She did a great job and the turnaround time was fast. Excellent job! Nice, clear recording, followed project guidelines perfectly, and delivered even faster than expected. Required US Accent Male/Female Voice Over Artists for everyday projects. I need a professional voiceover artist to narrate a 60 second corporate video.